There's a lot more on what those differences mean in the IP Versions (IPv4 vs IPv6) section below. If I'm going to send a package to my friend in another country, I have to know the exact destination. It's not enough to just put a package with his name on it through the mail and expect it to reach him. I must instead attach a specific address to it, which you could do by looking it up in a phone book. This same general process is used when sending data over the internet. However, instead of using a phone book to look up someone's name to find their physical address, your computer uses DNS servers to look up a hostname to find its IP address. For example, when I enter a website URL like www.lifewire.com into my browser, my request to load that page is sent to DNS servers that look up that hostname (lifewire.com) to find its corresponding IP address (151.101.65.121). Without the IP address attached, my computer will have no clue what it is that I'm after. Even if you've heard of IP addresses before, you might not realize that there are specific types of IP addresses. While all IP addresses are made up of numbers or letters, not all addresses are used for the same purpose. There are private IP addresses, public IP addresses, static IP addresses, and dynamic IP addresses. That's quite a variety! Following those links will give you much more information on what they each mean. To add to the complexity, each type of IP address can be an IPv4 address or an IPv6 address — again, more on these at the bottom of this page. In short, private IP addresses are used "inside" a network, like the one you probably run at home, used by things like tablets, Wi-Fi cameras, wireless printers, desktops, etc. These types of IP addresses are used to provide a way for your devices to communicate with your router and all the other devices in your private network. Private IP addresses can be set manually or assigned automatically by your router. Public IP addresses are used on the outside of your network and are assigned by your ISP. It's the main address that your home or business network uses to communicate with the rest of the networked devices around the world (i.e., the internet). It provides a way for the devices in your home, for example, to reach your ISP, and therefore the outside world, allowing them to do things like access websites and communicate directly with other people's computers. Both private IP addresses and public IP addresses are either dynamic or static, which means that, respectively, they either change or they don't. An IP address that is assigned by a DHCP server is a dynamic IP address. If a device doesn't have DHCP enabled or doesn't support it, then the IP address must be assigned manually, in which case it's called a static IP address. Different devices and operating systems require unique steps to find the IP address. There are also different steps to take if you're looking for the public IP address provided to you by your ISP, or if you need to see the private IP address that your router handed out. There are lots of ways to find your router's public IP address, but sites like IP Chicken, WhatsMyIP.org, WhatIsMyIPAddress.com, or icanhazip.com make this super easy. These sites work on any network-connected device that supports a web browser, like your smartphone, iPod, laptop, desktop, tablet, etc. Finding the private IP address of the specific device you're on isn't as simple. In Windows, you can find your device's local IP address via the Command Prompt, using the ipconfig command. See How Do I Find My Default Gateway IP Address? if you need to find the IP address of your router, or whatever device that your network uses to access the public internet. Linux users can launch a terminal window and enter the command hostname -I (that's a capital "i"), ifconfig, or ip addr show. For macOS, use the command ifconfig to find your local IP address. iPhone, iPad, and iPod touch devices show their private IP address through the Settings app in the Wi-Fi menu. To see it, just tap the small "i" button next to the network it's connected to. You can see the local IP address of an Android device through Settings > Network & internet > Wi-Fi, or depending on your Android version, Settings > Wi-Fi or Settings > Wireless Controls > Wi-Fi settings. Just tap the network you're on to see a new window that shows network information that includes the private IP address. You might have to expand an Advanced area of the network's details page to see the private IP address. There are two versions of IP: IPv4 and IPv6. If you've heard of these terms, you probably know that the former is the older, and now outdated, version while IPv6 is the upgraded IP version. One reason IPv6 is replacing IPv4 is that it can provide a much larger number of IP addresses than IPv4 allows. With all the devices we have constantly connected to the internet, it's important that there's a unique address available for each one of them. The way IPv4 addresses are constructed means it's able to provide over 4 billion unique IP addresses (232). While this is a very large number of addresses, it's just not enough for the modern world with all the different devices people are using on the internet. Think about it — there are several billion people on earth. Even if everyone in the planet had just one device they used to access the internet, IPv4 would still be insufficient to provide an IP address for all of them. IPv6, on the other hand, supports a whopping 340 trillion, trillion, trillion addresses (2128). That's 340 with 12 zeros! 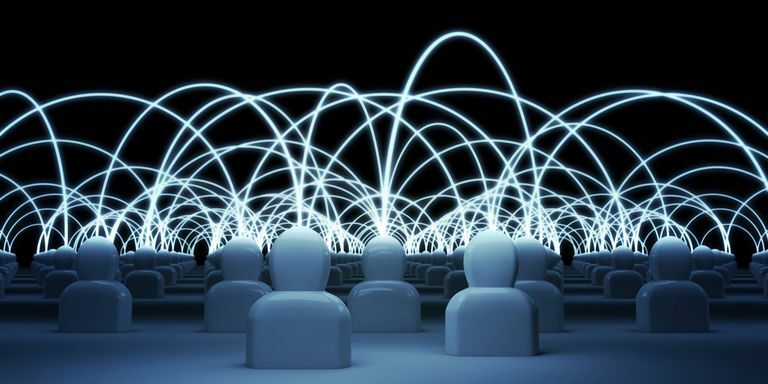 This means every person on earth could connect billions of devices to the internet. True, a bit of an overkill, but you can see how effectively IPv6 solves this problem. In addition to the greater supply of IP addresses over IPv4, IPv6 has the added benefit of no more IP address collisions caused by private addresses, plus auto-configuration, no reason for Network Address Translation (NAT), more efficient routing, easier administration, built-in privacy, and more.